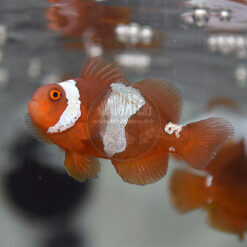 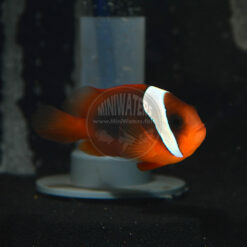 Amphiprion sandaracinos, the “Orange Skunk Clownfish”, is one of the few clownfish varieties which lack vertical striping. 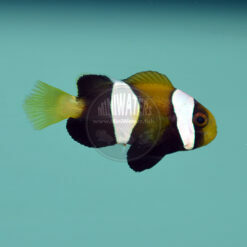 Having a captive-bred line from a known location, in this case, Irian Jaya, is a special treat. 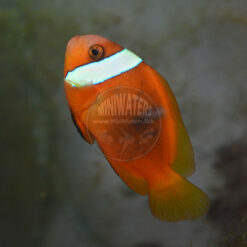 Interestingly, it is in locations like these where A. sandaracinos combines with the “Black Footed” Blue Stripe Clownfish variants to produce the natural hybrid we know as Amphiprion leucokranos. 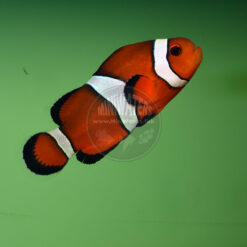 Skunk Clowns are one of the many groups of natural clownfish species that are just being steamrolled in favor of designer clownfish. 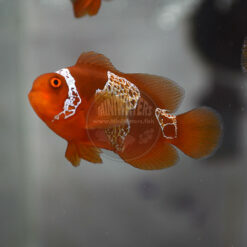 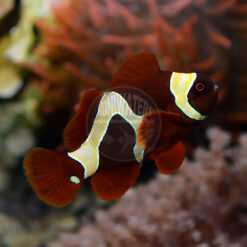 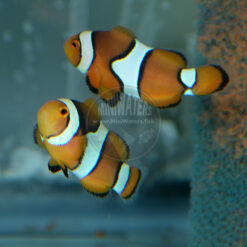 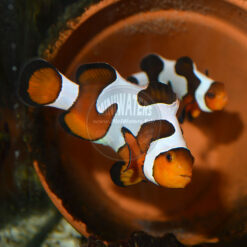 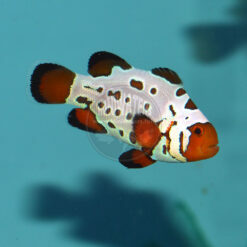 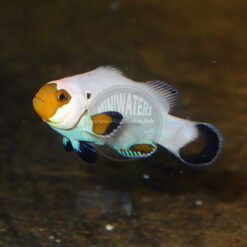 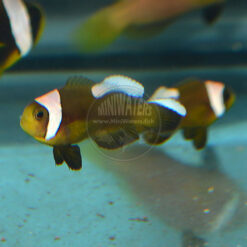 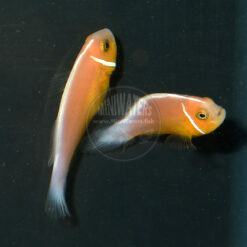 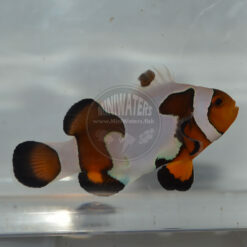 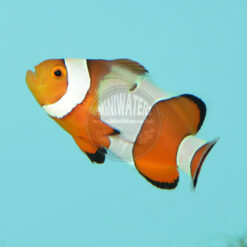 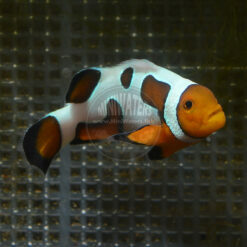 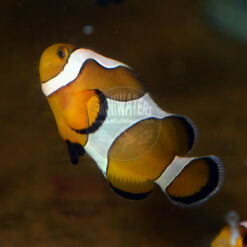 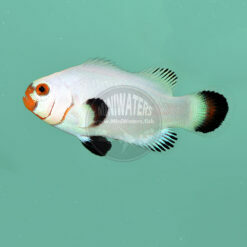 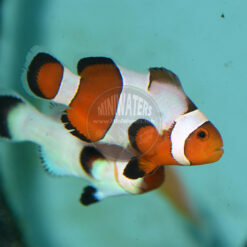 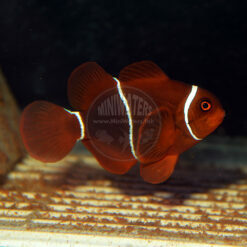 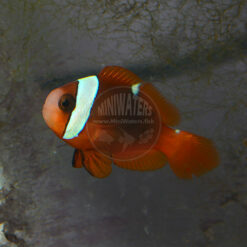 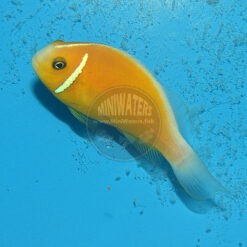 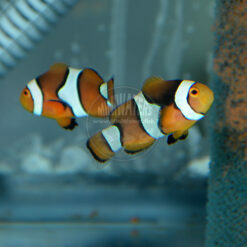 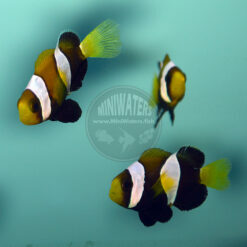 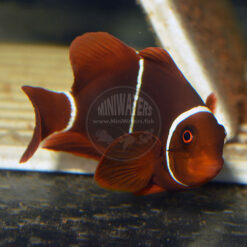 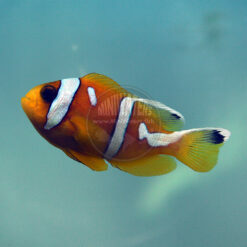 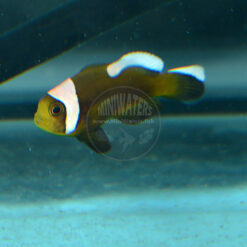 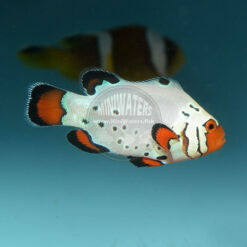 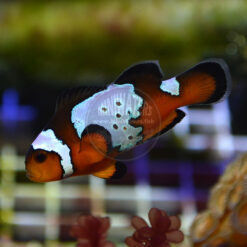 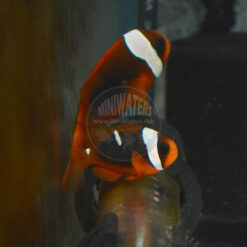 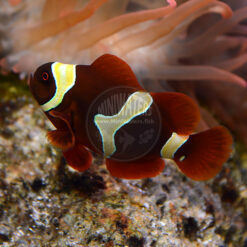 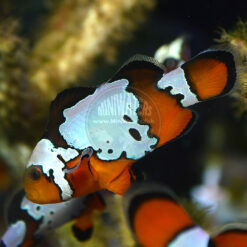 Want to have a beautiful clownfish display without spending hundreds per fish? 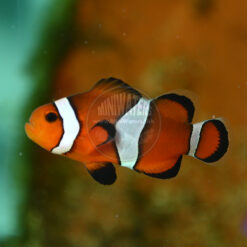 Something that will look so unusual because no one is used to seeing it? 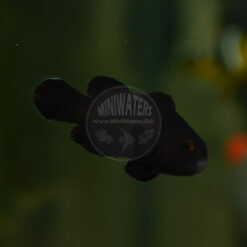 Try one of the many wild species and natural variants I offer. 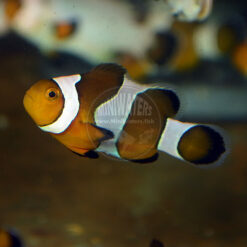 When adding a bunch at a time to a large anemone in a larger aquarium, you may even be able to create a naturalistic family unit; not something you’re used to seeing very often in people’s tanks! 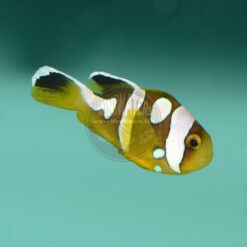 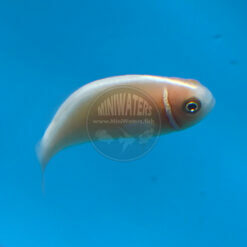 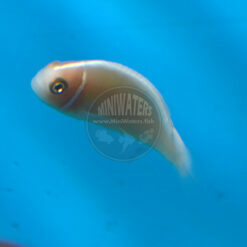 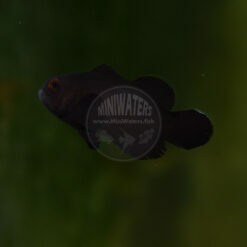 A note on sizes; “Tiny” fish are around 1″, Small 1.25″, Medium are larger when available. 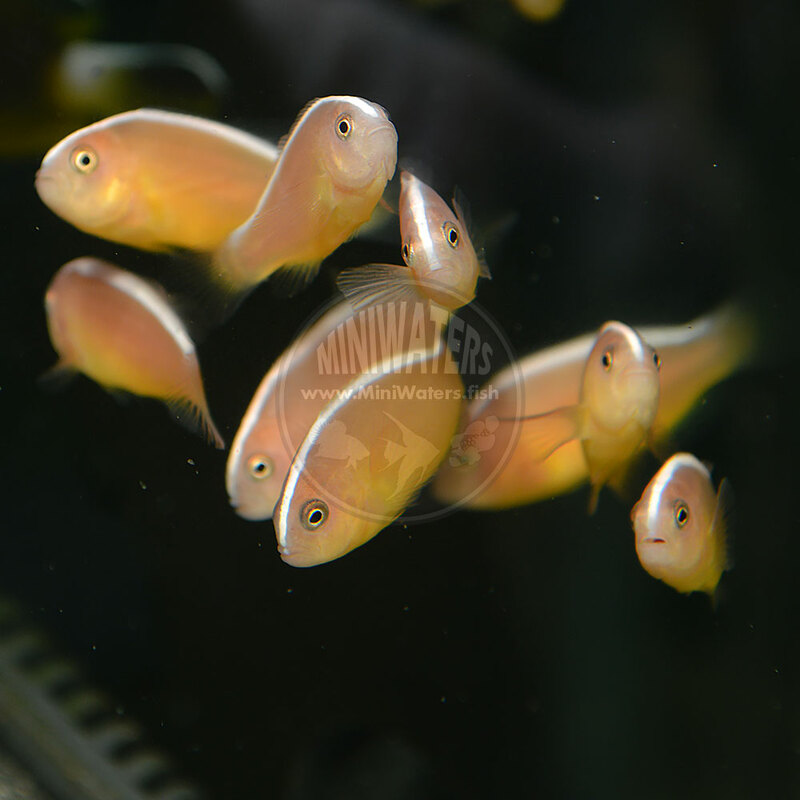 NOTE – what we call “tiny” others call small 😉 Regardless, they’re on a SUPER SALE right now, nearly 50% off; they’re normally $29! 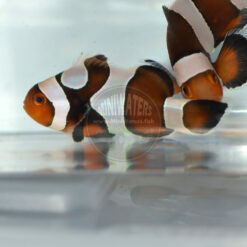 A note on sizes; “Tiny” fish are around 1″, Small 1.25″, Medium are larger when available.